Losing a baby is one of the most devastating losses one can experience. The grief is such an unbearable pain that takes quite some time to fully heal from. Beyond the sadness you feel, negative thoughts can tend to take root. Those who have gone through pregnancy loss, tend to blame themselves for what happened, which can also spiral into a wave of negative feelings. I don’t want to glorify those negative feelings. However, I do want to address them and explain how to rationalize what you are feeling, so you can be kind to yourself again. I have been there and I still battle with these feelings, but I don’t allow them to stick around for too long. Below are 6 negative thoughts you should never believe and how to turn them around. 1-You are being punished-Many women, including me, have felt like losing a baby was some sort of punishment. It’s not, so quit thinking that. Pregnancy is an absolute miracle. For some reason, more pregnancies end in miscarriage than make it. It’s almost unexplainable and no one would ever wish this on their worst enemy. I can promise you, that you are not being punished for anything. It’s just a way of rationalizing why it happened, because sometimes you might not know why that sweet baby didn’t make it. 2-It’s your fault-The first thing I did after finding out our baby didn’t have a heartbeat was go through all of my actions for the last 24 hours, then the last week, month, etc. Did I lift something too heavy? Did I eat something wrong? What did I do? We want someone or something to blame, so we usually blame ourselves. Listen closely-IT IS NOT YOUR FAULT. Many times, our babies don’t make it due to a genetic issue that is out of our control. That’s what the case was with our baby boy. That doesn’t make it any easier to accept, but you have to know that you did all you could. For the time you carried your baby, you gave him or her all he or she needed. Always remember that. Your baby will. 3-You are not worthy of being a mom-Your baby was not taken away because you do not deserve to be a mom. You are already mom to a beautiful angel and I bet if you are like me, you’re a fur mom too. That counts! 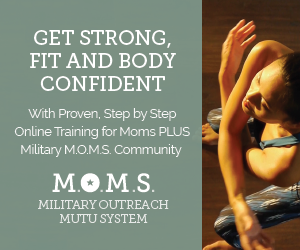 Look at the ways you are a mother and simmer on it. Do you have other children? Do you have a pet? Do you have god children? There are so many ways that women are moms already, without even realizing it. You are the greatest mom and in fact, the strongest because you have had to let one of your babies go. That terrible grief you feel comes from love. That type of love is what makes a mom great and that’s you! 4-God has forgotten about you-I know it might feel like God forgot you and didn’t answer your prayers. I felt the same way you are feeling. It took me a while, but now I understand where God was during this tragedy. He was right by my side, just like he is with you too. God, our heavenly father, is much like our earthly father, in that he wishes nothing but the best for us. As much as he doesn’t want things to harm us, he can’t always prevent things from happening. What he can do is bring you through your sorrow and help you to somehow feel joy again. I know it feels weird to say that. Finding joy after losing a baby? That doesn’t even seem right, but God will bring something beautiful from your baby’s death. Your baby did not exist for no reason at all. That little life meant something and God will bring that light out of the situation if you allow him to. He has never forgotten about you and he is always by your side, most especially during tragic times like this. 5-You are less than a woman-This is one that I struggle with continuously. Part of being a woman, is having the ability to bear children. When you aren’t able to do that, it can leave you feeling pretty low on yourself and your body that seems to be failing you. This is when you have to praise yourself and all that your body has been through. It takes time for your body to heal from losing a baby, physically and emotionally. Be kind to yourself. We are always quick to point the finger at ourselves after pregnancy loss and while on an infertility journey. How do you know your body is failing you? It might not be your fault at all, so talk nice to yourself. Instead of finding all of the negative things to point out about yourself, find something positive. Compliment yourself at least once per day. 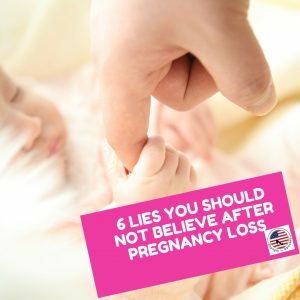 6-You are not attractive anymore-When I lost my baby, I was eight weeks pregnant. My belly was growing and so was my chest. After having a D & C, I felt so empty. I looked at my body and it still appeared pregnant. I wasn’t me anymore. Instead, I was a mess and a larger version of myself for no reason. I slowly eased my way back into fitness after the doctor cleared me. 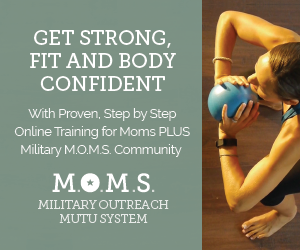 I found a local fitness group that changed my life. I was nervous about being around people, but it was the bravest step forward I could’ve made. I sweated out my tears and depression every week and began to get back to my pre-pregnancy self again. All of the negative thoughts you have after losing a baby takes a huge toll on your self-confidence. A good sweat session at the gym, outdoors, or with a fitness group is just the trick to help you gain that positive sense of self again. I hope these tips are helpful for you or that you will pass these on to someone you know that is struggling through pregnancy loss. If your negative thoughts become too much to bear, please click here to reach out for help. You are your best advocate, but also your own worst critic. Do not let negative thoughts take root when you are already in pain. Learn to love yourself again, be kind to you, and know that you are so much stronger than you even realize. Wendi Iacobello is an Army wife, Beagle mom, and mom to an angel son. She has spent the last nine years as an adult educator, has a Bachelor of Science degree in Early Childhood Education, and a Master of Arts in Educational Media. Currently, she is a blogger, freelance writer, instructional designer, and avid volunteer. 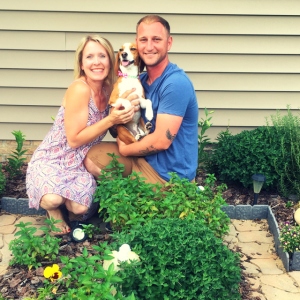 Wendi, her husband, and their Beagle Daizi reside in North Carolina. While the son they lost is the only child they have been blessed with, they have 2 fur children. One who joined their son in heaven last year and one who blesses their life daily and helped them through grief. They still cling to hope that one day they will be blessed with an earthly child. 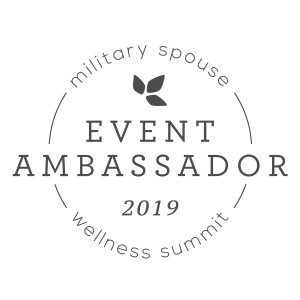 Wendi is extremely passionate about helping others find their inner strength by sharing her experiences, insight, resources, and inspirational stories on her blog Strength4Spouses. This was so true and wonderful to read. Awww my goodness. I’m so very sorry that you are going through this. Sending you hugs and prayers for strength. I am glad to hear this post brought comfort your way. It’s truly a difficult journey to be on.